I'm not saying anything, but you and others are attempting to do so. This information was first published by the liberal Washington Post for whatever reason. There is doubt that it was meant to be released until the new Mexican administration takes office. "There is no doubt"? Really? The facts seem to disagree with what you claim. The Washington Post came out with the claim that a deal was made. Immediately following, the Mexican Government said they weren't accepting any deal, according to several news sources. The incoming government claims they will not accept a deal. Yep, that casts a bunch of doubt. If there is fake news, it from the liberal Washington Post. Are you denying they are the ones who first came out with it? Other media is referencing them. I never once denied what the Washington Post released. I pointed out what was released by other news services after that, and what Mexico had to say about it. Or is it that liberals just like to argue and ignore facts. It looks like so-called independents are the ones who like to argue and ignore facts. Sorry. but I do believe that you have an extreme distorted view of what is an immigrant and what is expected from them in any country. If you have forgotten how the this country dealt with their immigrants and how those immigrants behaved when the came to this country. well that is your opinion. But as an Immigrant myself, I can tell you that when I came here and realized that I had lost my country forever and I would stay here. I have done everything possible to belong, to assimilate to the American customs. not impose mine of everyone else. You obviously have your opinion, but I can tell you, that too many Americans don't feel like you do. and it has nothing to do with racism, political party or anything. It has to do with the respect that you owe the country that you have chosen to stay. do you have ANY PROOF WHATSOEVER that MS-13 members are embedded in the group of refugees. You have definite information they are not? Sure, MS-13 members and others like them should be allowed to come right in, doncha know? Just say to all comers...."Y'all come!!!" First of all, do you have ANY PROOF WHATSOEVER that MS-13 members are embedded in the group of refugees. What are the numbers? How do you tell an MS-13 MEMBER from others? It seems you are missing vital information. If you have this vital information, please provide it to your fellow posters. I find it interesting that you hold the philosophy that MS-13 MEMBERS would embed themselves in a group of people being watched so closely rather than enter the country by some other means that is LESS PUBLIC. Of course, Trump has the same philosophy. Apparently the haters believe that MS-13 originated outside the USA...sigh. They also appear to believe anything that they reference is cast in stone and facts will never alter their opinion. The outgoing President of MX can say anything he wants, especially seeing as how he will be out of a job next month ( aka December). The incoming President appears to be saying that he will not follow through on this predecessers statements. So why is the haters of immigrants continuing to support what has been shown to be patently false? My hat is off to those who have endured the hardship of their long travel on foot to get to our border. They should be given a chance to become a citizen and develop a respect for their "adopted" country and it's laws also. If there is fake news, it from the liberal Washington Post. Are you denying they are the ones who first came out with it? Other media is referencing them. Was this information released by the government or by the liberal Washington Post? Perhaps there is those who would like such a deal fall through because of being leaked ahead of time? The articles in the Washington Post indicates that. In fact there can be no deals until the new government in Mexico takes office. This information is based on preliminary talks only. But I do get the idea that liberals here are anxious for the deal to fail, mostly because of their intense dislike for Trump. They have a history of putting party and opinion over country. Whatever it takes to make Trump look bad. 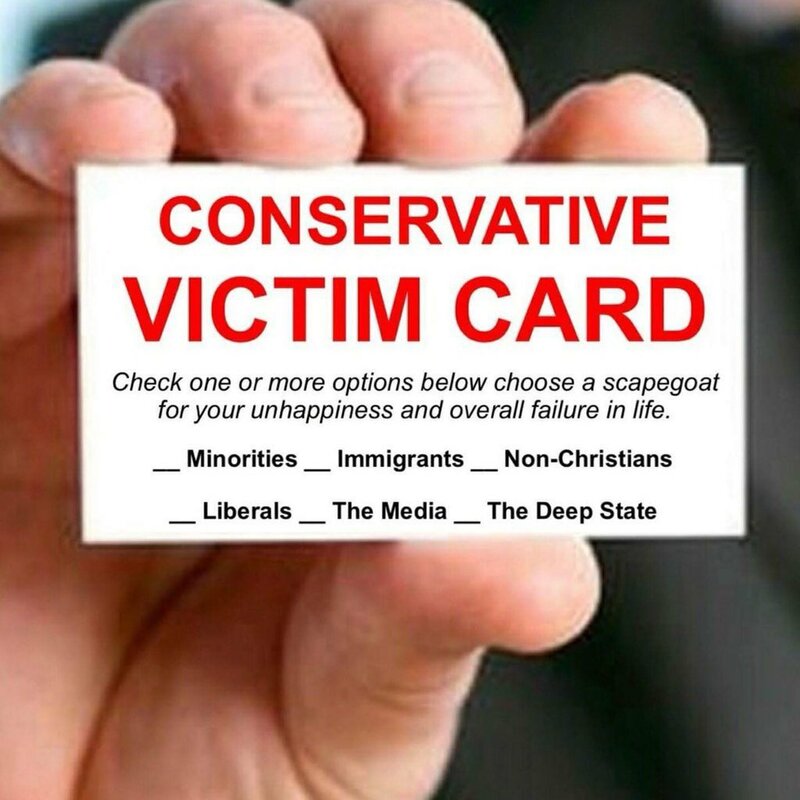 No victim here, it is the liberals who not only likes to play the victim card in every instance, but in their words . There are no victims here. And I really don't care what you say about my comment as it is to be expected from liberals who believes whatever it takes.